Save Up to 75% Off Retail! We're the longest running consignment store in Austin. We carefully select all our consignment items to offer a great variety of women's clothing. Our welcoming staff is happy to help you pick out just the clothes and look you need. We’re excited to continue offering Austin affordable fashionable clothes! 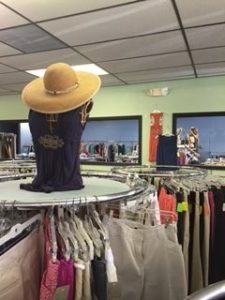 Just Between Us consignment store offers WOMEN’S clothes and accessories. Why not refresh your wardrobe without spending a fortune? Where you bought the clothes can be “just between us”. We love our customers and welcome your feedback and suggestions. Use our About Us page to tell us what we’re doing right or what we can improve on. Here’s a map to our location. Come in today! At JUST BETWEEN US, there’s always a SALE, never the Guilt!